When a husband and wife decides to end their marriage, it’s often the children who get badly affected. The younger kids who are still not aware of what their parents are going through can end up confused and even depressed. 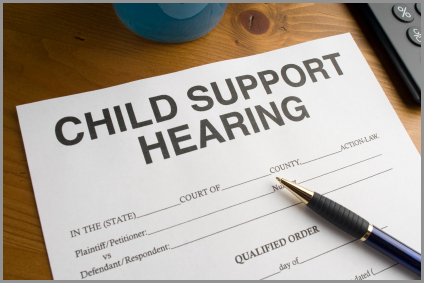 Child support is one of the most hotly contested issues among divorced couples. Sometimes when the parents fail to reach an agreement, this can even result in the non-provision of financial support to the child. Hollywood celebrities who had split up are not exempted from this problem. Some of them still face this issue years after they have ended their marriage and worse, are being asked to pay a huge amount. In the U.S., states vary in how they calculate child support. “Basically, though, the gross income of both parents are taken into account. Certain deductions are also allowed such as the local income tax paid as well as any child or spousal support for other children and former spouses,” according to Los Angeles family lawyer Anat Resnik. Once the adjusted gross income is determined, it is then applied to a chart which specifies the financial support needed to raise a child. Singer Stevie Wonder got separated from his second wife and fashion designer Kai Millard Morris in 2009. They had two Kailand and Mandla aged 14 and 10, respectively. Although their divorce was filed in 2012, it was finalized only in early October. This divorce, however, comes with a high price as 65-year-old Stevie Wonder is obliged to pay $25,000 every month for child support. The singer has agreed to the settlement and is expected to bring his two boys on the road when he goes on tour soon. Katie Holmes, for her part, wants to give her daughter Suri the lifestyle she deserves. As such, she is now asking for more child support from her ex-husband Tom Cruise. Currently, Cruise is paying $400,000 per year for child support until Suri reaches the legal age of 18. Unfortunately, Holmes is no longer satisfied with the amount and has filed an appeal to the court requesting for more money as new reports claim. The reason for the increase in child support is to finance Suri’s travels with her mom and her hobbies including dance, skating and music lessons, arts and crafts and tutors. Halle Berry is among the Hollywood celebrity women who had to pay his ex-boyfriend for child support. In 2014, the Oscar-winning actress earlier agreed to pay $16,000 a month as child support for their daughter as her ex Gabriel Aubry was given custody of the child. Since 2012, Berry and Aubry were in a bitter child custody battle. The actress was also barred by the judge to move to France with her daughter. Charlie Sheen is one Hollywood actor paying a huge amount of child support at $55,000 a month. This is for his twins Bob and Max with ex-wife Brooke Muller. Sheen was ordered to pay this since 2011 after his divorce with Muller. In addition to this, the actor is also paying $50,000 a month to another ex-wife Denise Richards with whom he has two daughters, Sam and Lola. Music producer and reality star Stevie J is another celebrity locked in a child support battle with his ex-girlfriend. He has been accused of failing to provide millions of dollars in child support to his two children.